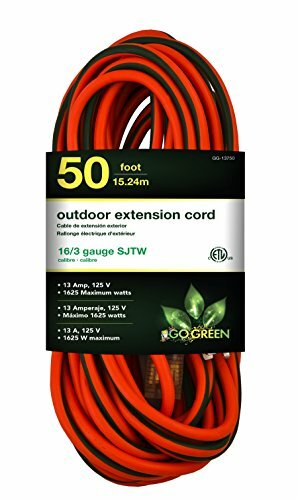 The GoGreen Power 50' 16/3 SJTW extension cord will resist moisture, abrasion and prolonged exposure to sunlight for durability. Cord has heavy duty molded plugs and lighted green end to show power is on. Great for use around your garage and with other outdoor electrical devices.